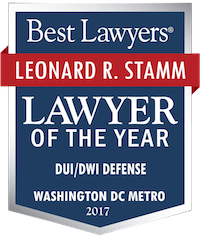 Criminal justice news Category Archives — Page 2 of 7 — Maryland DUI Lawyer Blog Published by Maryland DUI Attorneys — Goldstein & Stamm, P.A. So here we are, in Donald Trump’s unreality-fantasy. Where the President is deranged, unhinged, and out of control. Where accurate and truthful news is the enemy. Where fake news and lies determine policy. Where science is distorted and evidence ignored. Where prejudice is disguised as reason to justify cruel policies that harm American interests. Where the President and his aides have unleashed and continue to unleash a virtual torrent of falsehoods. The crisis we face is unprecedented in our history, unlike anything we have seen before. Each day brings new horrors, worse than the horrors of the day that preceded it, as Trump exercises power in an unconstitutional and chaotic manner in the delusional belief that his actions are good for our country. The tragic news of today happens to be Trump’s illegal order banning refugees from seven countries. None of the terror attacks in this country dating back to well before 9/11 have been committed by persons from the seven countries. The countries where those terrorists that did come from overseas originated are not in the list. Although Trump claims this is not a Muslim ban, it only applies in Muslim countries, and it is perceived in the world as a Muslim ban. It doesn’t make us more safe as the people being shut out are people that have already been subject to extreme vetting or green card holders who made the mistake of being abroad at this time. It is stupid and self-defeating. As Malcolm Nance notes, “this will damage us worldwide” and help our enemies. “This will create terrorists.” And this is not who we are. Embarrassingly, Canada by contrast states it is welcoming refugees, using our values to make us look like fools. Interlocks out of control in Montgomery County! Apparently yesterday two judges in Montgomery County were imposing interlocks as a condition of probation in DUI first offense cases. So major traffic dockets in Rockville 413 and 414 were not good places to be yesterday. 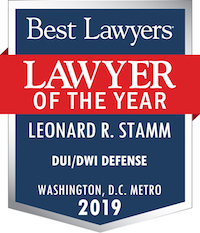 The Washington Post recently reported that State’s Attorney for Montgomery County, John McCarthy, has instructed his prosecutors in Montgomery County to request an interlock in most first offense DUI cases. This is apparently a reaction to the compromise reached by the Legislature this past session where, despite me being vastly outnumbered at the House and Senate judiciary committees, Noah’s law was amended to require interlocks on convictions under § 21-902(a), and under § 21-902(b) or (c) where the defendant has refused a test, and test readings of .15 or higher, but not on tests of .08 or more and under .15 or on PBJs. So the legislative intent was to not require first offenders who appear to be social drinkers to get the interlock. This is the endorsement of the New York Times. I was going to write one but the Times did a great job with it. So I am reprinting it here. I will add that her Supreme Court and other judicial picks will be much better than any her opponent would choose. The National College for DUI Defense (www.ncdd.com) just completed its annual summer session held in Cambridge Massachusetts. The session featured large lectures, small lectures, breakouts, and small elective seminars. Topics covered included Cross-Examination of the Arresting Officer by Marj Russell of the Gerry Spence Trial Lawyer’s College; Cross-Examination break out; Handling the High Profile case by Tony Coleman; immigration law by Brad Williams; postconviction, writs of error coram nobis by Professor Byron Warnken of the University of Baltimore Law School; plea negotiations and ethics by Assistant Professor Rishi Batra from the Texas Tech. School of Law. We had small elective seminars (discussion groups) that were a new feature of the summer session and were very well received with the following topics: Win at the Initial Appearance, taught by Andrew Mishlove and Pat Maher; Suppression Motions: Winning it All Before Trial, taught by Jim Nesci and Steve Oberman, Leonard Stamm and Andy Alpert, Andrew Mishlove and Pat Maher, Don Ramsell and Michelle Behan, and, Mike Hawkins and George Flowers; Getting What You Want-Creative Approaches to Obtaining Discovery, taught by Bell Island and Lauren Stuckert; How to Use Social Media Effectively and Ethically, taught by Bill Kirk and Brad Williams; Federal DUIs: Reinventing the Wheel? by Leonard Stamm and Andy Alpert; Don’t Let Your Military Client Go Down with the Ship by John Hunsucker and John Webb; Picking the Winning Jury by John Hunsucker and John Webb, Mimi Coffey and Ryan Russman, and Paul Burglin and Lynn Gorelick; Preparing for Plan B, Sentencing in Serious Cases, taught by Mike Hawkins and George Flowers; Follicles, IIDs, ETG and SCRAM: The Hairs, Airs and Other Snares of DUI, taught by Doug Murphy and Richard Middlebrook; Just Say NO to Losing Your Client’s Commercial or Professional License, taught by Virginia Landry and Steven Epstein; Turning the Tide with Treatment, taught by Paul Burglin and Lynn Gorelick; Using Technology to Win Your Case, taught by Joe St. Louis and Lawrence Koplow; Managing a Practice from the Stone Age to the Digital Age in 10 Easy Steps, taught by Bruce Edge and Matt Dodd; Writing Winning Appeals, taught by Don Ramsell and Michelle Behan. I have been reflecting on Memorial Day and paying tribute to the men and women who gave the ultimate sacrifice in defense of our liberty. We are very fortunate to live in a place where an accused is presumed innocent, and has a right to notice, counsel, proof beyond a reasonable doubt, against compelled self incrimination and against unreasonable search and seizure. We also have constitutional rights to equal protection, due process, and freedom of speech and religion, and against government establishment of religion. Each generation has a responsibility to fight to keep the rights and ideals enshrined in our Constitution alive. As lawyers, we have a special responsibility to give meaning to these rights that define us as a nation of laws and liberties, and we fight in court every day to ensure that the government promotes our rights, and does not encroach on them. We know from experience that many of our citizens take these rights for granted and don’t agree with them unless or until they face charges. As many of us know all too well, many of our prosecutors and judges give only lip service to our rights and achieving justice in many cases requires hard work by us, and is not always successful. Today the Supreme Court heard oral argument in the cases of Birchfield v. North Dakota, 136 S.Ct. 614 (2015); Bernard v. Minnesota, 136 S.Ct. 615 (2015); and Beylund v. Levi, 136 S.Ct. 614 (2015). The issue in the case was whether a state may make it a crime to refuse a warrantless breath test, or put differently to exercise one’s constitutional right to require the state to comply with the Fourth Amendment. Maryland has a sentencing enhancement of up to 60 days that may apply if a person is found by a judge or jury to have knowingly refused a test. The National Park Service, which controls a number of roads in Maryland, including the Baltimore-Washington Parkway, has a regulation, 36 CFR § 4.23(c) that makes it a crime to refuse a breath test, with a maximum penalty of 6 months in jail and a $5,000 fine. In both state and federal DUI cases, a suspect is told there is a possible jail sentence if he or she refuses to submit to a breath test. As a result, every breath test in state and federal court in Maryland is subject to a motion to suppress alleging that giving that advice is coercive and in violation of the Fourth Amendment.